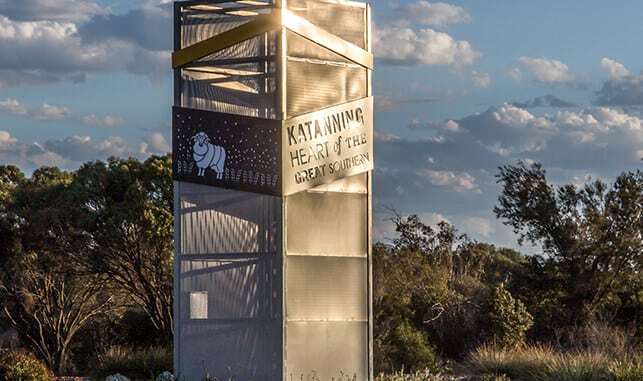 Katanning is thought to come from an Aboriginal word ‘Kartannin’ meaning ‘big meeting place’ and it still holds true to this meaning in the 21st century, as the largest town in the Upper Great Southern servicing many surrounding towns. 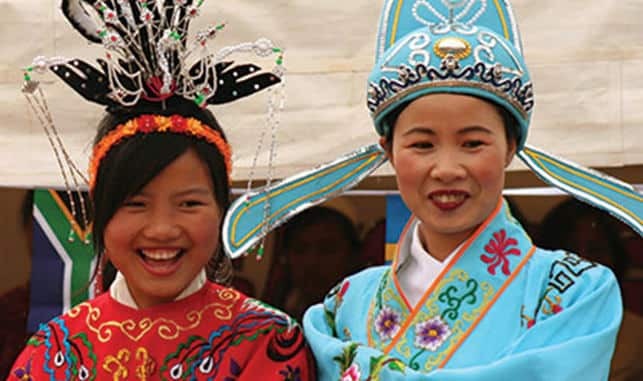 Today it is also home to over 40 different nationalities with migrants attracted to the welcoming and hospitable nature of the town. The Katanning Saleyards are the largest undercover sheep saleyards in the southern hemisphere. Come and watch the trucks and dogs unload the sheep every Tuesday afternoon before enjoying dinner from 6.00pm at the onsite café. Come back for breakfast from 6.00am on Wednesday mornings and watch the sheep auction from 8.30am. Tours are available every Tuesday at 5.30pm and every Wednesday at 7.30am. A display of 20 flag poles at the Katanning Lions Park on Clive Street showcase some of the diverse nationalities in Katanning. The flags were sponsored by community members and are rotated every six months with new sponsored flags. Water-skiers, kayakers, sailors, swimmers, picnickers and birdwatchers alike will enjoy a visit to this 100ha recreation lake. Located 17km east of Katanning on Langaweira Road, this lake has water for most of the year and is home to 95 species of birds. Picnic, BBQ, toilets and a boat ramp are available. The historic Roller Flour Mill has been restored to its former glory incorporating a Dome Café along with boutique accommodation at the Premier Mill Hotel. Much of the flour milling equipment installed when the building opened in the late 1890s by Frederick Piesse has been retained and lovingly restored. Katanning’s large Muslim community originated from the Cocos and Christmas Islands. They have contributed to the diversity of the community and maintain their unique cultural identity by operating their own Mosque, on Warren Road. 0415 845 894 or 0487 182 144. This unique playground is exactly what is says… FOR ALL AGES. It includes shade, parking, BBQ area and toilets. It is currently undergoing an upgrade and transformation! Find the All Ages Playground at the entrance to town off the Great Southern Highway onto Clive Street. Opened in 1988, the Katanning Miniature Railway operates every 2nd and 4th Sunday of the month. Treat the whole family to a fun train ride on the Steam and Diesel Loco’s around the 700m track, followed by a delicious treat at the tea rooms. Located adjacent to the All Ages Playground. This oasis hosts a rewarding walking trail through lovely and peaceful bush, with a boardwalk and an abundance of wildlife. Twonkwillingup was an important meeting place and water source for local Aboriginals (Noongars) long before European settlement. It came to be known as Police Pools after the area was used as an outpost of the Kojonup Police Station from 1865 – 1870. Picnic tables, shade and parking available. Just 4km out of Katanning along Police Pools Road. Built in 1902 as a home for the Piesse family, it later became a private boarding school for young ladies from well-to-do families. It is currently owned and operated by the Katanning Baptist Church and has accommodation and a function centre, chapel, BBQ and more across the 6ha grounds. Established in 1938, the garage has the only dirt floor left in Western Australia. Some people never throw anything away and at Wakes Garage on Richardson Street they kept everything. It is the home of the first rotary engine invented which sits on its original workbench. This exquisite St Peters Church is located on the road between Katanning and Nyabing. It was built in 1922 and heritage listed in 1996. It is well worth a stop to have a look and you can even ring the old bell outside. Located on Richardson and Taylor Streets. Located at the entrance of the Library, the Art Gallery is one of the largest within the Great Southern and hosts a diverse range of shows throughout the year. Of special interest is the annual Together Exhibition, hosted in September, which showcases the many and varied talents of artists within the area. The lower floor of this attractive building in Austral Terrace was completed in 1897. It started public life as the Agriculture Hall and after extensive renovations in 1928 it became known as the Town Hall. The clock is one of two of its kind in the public realm; the other is located in Parliament House in Perth The clock was built to commemorate the pioneering women of Katanning, and was unveiled in 1956 by Sister Elizabeth Grover after a year’s construction. Sister Grover was the oldest surviving daughter of William Grover, one of the first settlers in the Shire. 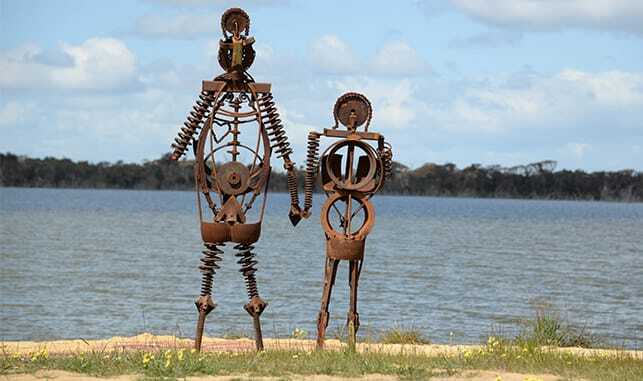 According to the Heritage Council of Western Australia, the clock cost the town 1458 pounds, nine shillings and eight pence to build. A local jeweller and watchmaker, a Mr LFW Quartermaine, won the contract of maintaining and supervising the clock in 1955, for which he was paid 10 pounds a year. This delightful garden is located opposite the Town Hall and incorporates a Noongar Time Walk, Malay mosaic, the Pioneer Women’s clock and roses dating back to 1830. This picturesque garden offers visitors a place to relax with large slab benches and a shaded gazebo. In 1904 AE Piesse built this winery to process grapes harvested from the Piesse family vineyards. When the winery ceased to produce wine many of the wine making tools and casks were sold to the monks at New Norcia, north of Perth. FORM’s PUBLIC Silo Trail is putting regional Western Australia up in lights, bringing world class murals to grain silos, transformer boxes and iconic infrastructure in unexpected towns right across the state.In November 2017 FORM’s Public Silo Trail stopped off in Katanning, lighting up a series of Western Power electrical transformer boxes and walls in the town centre with murals by prominent Western Australian artists. Call in to the Visitor Centre to grab a guide.